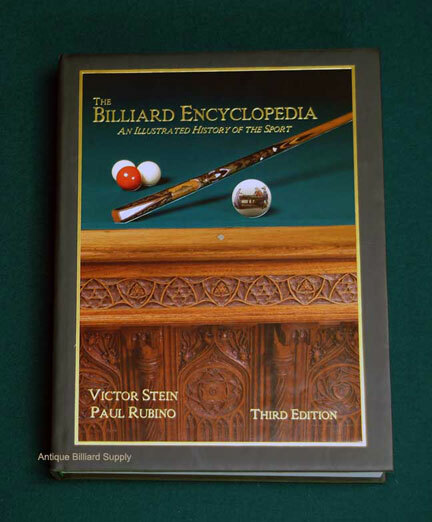 #12-01 The Billiard Encyclopedia may be the most authoritative and historical book ever written on the game of billiards. About 10 inches wide, 13 inches tall, the 640 pages contain extensive photographs and information on the cues, tables and personalities that were significant in the evolution of pool and billiards. A must-have book for every home billiard room. Limited-time offer: $75.00. Regular price: $150.00.